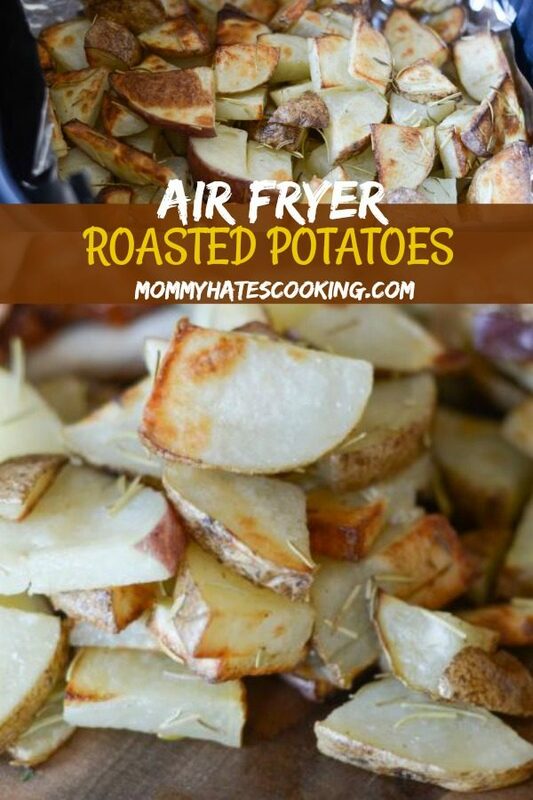 If you are like me and are obsessed with the Air Fryer, then you must try these Air Fryer Roasted Potatoes. These potatoes have much less oil, but taste absolutely delicious. They are crispy and perfect, plus ready in minutes with the Air Fryer. Air Fryer Roasted Potatoes are sheer deliciousness, paired with Air Fryer Chicken Tenders these make the perfect easy dinner. I am not real sure how I lived so long without an Air Fryer. Do you have one? I love that I can make dinner so quickly and without ever turning on the oven. I’ll say that I’m really excited about it for the summer months because it is so hot in Oklahoma, I hate turning on the oven. Now, I can use the Air Fryer and it has a cool to the touch covering that means it’s not letting off really any heat outside of the appliance itself. Does that make sense? For more information on that, be sure to check out How to Choose the Right Air Fryer. I am also just itching to try all the garden produce using it too. I am planning to roast lots of veggies, maybe even fry some with the Air Fryer too. Are you planting a garden soon? We are in the planning stages. I’ll be sharing more on gardening later on soon. That leads me to these Air Fryer Roasted Potatoes. I did opt to use a bit of oil for these, if you didn’t want to use oil at all, you could likely just spray them with some cooking spray for a little mist of oil, even the olive oil spray would work great too. 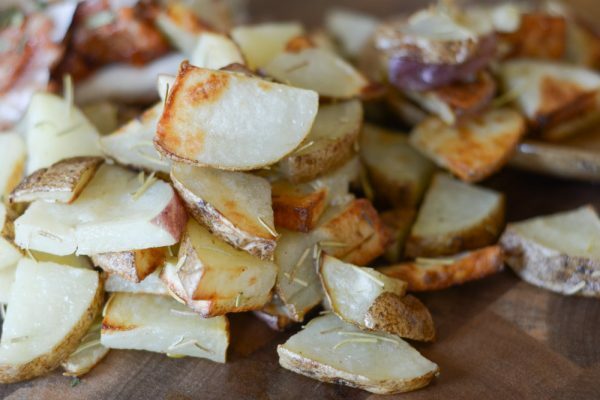 What do you need for Air Fryer Roasted Potatoes? 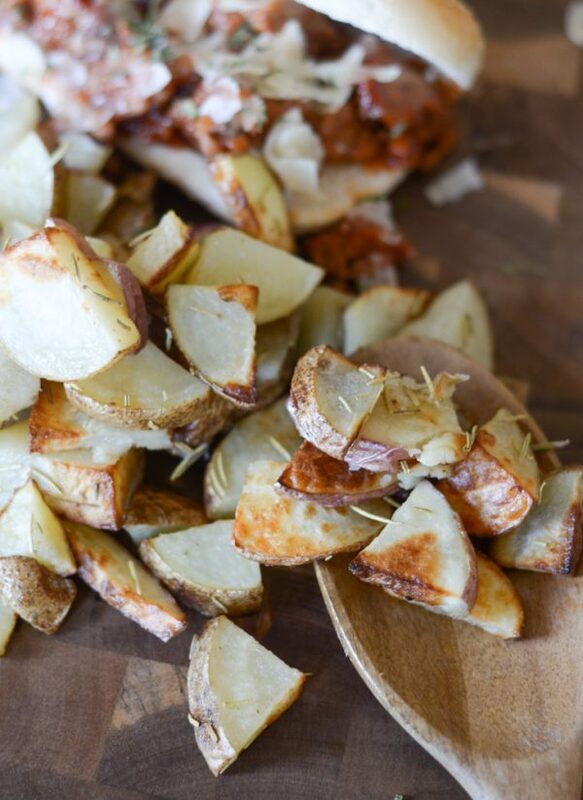 Once I had all that I needed for them, I simply added the potatoes to a bag with a little bit of rosemary and about 1/2 Tbsp of Olive Oil, then I shook it up. Once it was nicely coated, I put them in my Air Fryer for 20 minutes and out came some delicious Air Fryer Roasted Potatoes. 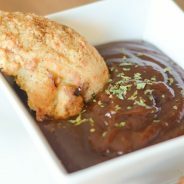 This same method can be used with sweet potatoes too, those are tasty as well in the Air Fryer. I’ll soon be sharing even more recipes. I also decided to start a Facebook Page just for Air Fryer Recipes. 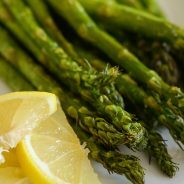 I really want to share more Air Fryer recipes from all over the web, not just mine, but I didn’t want to bombard my Mommy Hates Cooking Fans with all Air Fryer Recipes. This way I can keep them all for those that really want them. 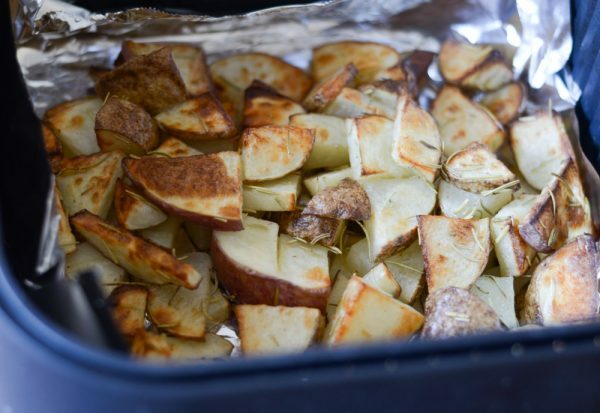 Enjoy these Air Fryer Roasted Potatoes. 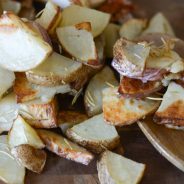 Make Air Fryer Roasted Potatoes with less calories and in only 20 minutes! Sliced the potatoes in half and lengthwise, then cut into smaller chunks. Place the potatoes in the bag with the olive oil and rosemary. Seal it and shake it up. Line the bottom of your Air Fryer with foil and spray with non-stick cooking spray, if you prefer. Pour the potatoes evenly into your Air Fryer, cook on 355* for 20 Minutes.